(PRLEAP.COM) Toronto, Ontario, April 15- Applicants for entry into Canada under the Super Visa program need medical insurance in order for their application to be approved. "Many people do not realize that it's not enough to have a quote for medical insurance, but that the policy must already be purchased," said Anne Marie Thomas of InsuranceHotline.com. "The Super Visa program is a great option for Canadians to bring parents and grandparents for extended stays in this country. But if super visa insurance is not bought before the application is filed, the visa may be denied." Under the Super Visa program, eligible individuals may stay in Canada for up to 2 years. They may return for multiple visits over a 10-year period. Under Canada's multiple-entry visa, individuals can only stay for 6 months at one time. In order for an application to succeed, the child or grandchild of the applicant must pledge financial support during the individual's stay. The medical insurance must have a value of at least $100,000 and be valid for at least one year from the date of the applicant's arrival in Canada. When researching super visa insurance quotes, applicants should look for a few key features. These include emergency care, diagnostics, prescriptions after an emergency, ambulance services, emergency transport home for medical reasons, and accidental death and dismemberment. But even with these minimums in place, it may not be enough. "Medical care for non-residents of Canada can be very expensive. 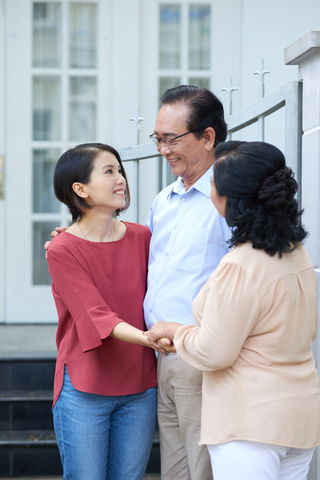 Although a basic super visa medical insurance policy meets government requirements, families might want to consider additional coverage. That way, they won't have to incur high out-of-pocket costs in case their loved one falls ill," said Thomas. At Insurance Hotline, we can help super visa applicants find the most appropriate medical coverage for their stay in Canada.